PQube Games have announced that Red Entertainment’s visual novel Our World Has Ended will be released onto the PlayStation 4 and Nintendo Switch on the 22nd March 2019 within Europe and 26th March 2019 within North America. In addition to this confirmed release date PQube Games have also revealed that those who pre-order the game, or while stocks last, from selective retailers within Europe and North America will receive access to the Day One Edition of the game. This version will contain a 100-page artbook along with a keyring based on a character from the game in addition to a physical copy of the game. 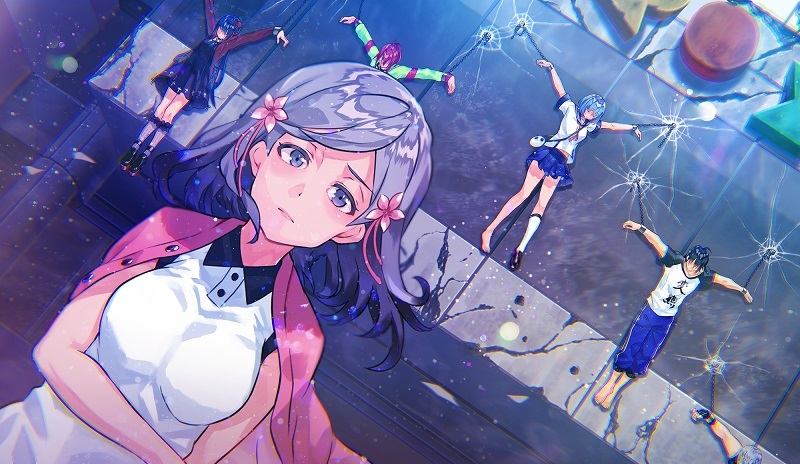 Synopsis: In Our World is Ended players will experience the story of Judgement 7, a young team of game developers based in Tokyo, who make a shocking discovery when testing the game they have been working on. That discovering being a destroyed cityscape; as such the team work together to uncover the truth behind this mystery. As part of this ‘mysterious’ experience characters from the virtual world start to appear in the real world; and the line between virtual and real suddenly soon becomes blurred. Our World Has Ended will be available both physically and digitally on the 22nd March 2019 (within Europe) and 26th March 2019 (within North America) for the PlayStation 4 and Nintendo Switch with Physical Day 1 Editions containing bonus contents while stock is available.